Sony Xperia Z5 Compact could be considered the successor to the Xperia Z3 Compact from a year ago. It is the smallest of the latest Xperia range of flagship devices, which includes the regular Xperia Z5 and top-of-the-class Xperia Z5 Premium, and brings along some superb specs, including an upgraded camera and an octa-core processor. As its name indicates, the Xperia Z5 Compact parades an attractive compact design, with Sony describing it as its ‘best compact smartphone.’ It is the same OmniBalance design that has been seen for some years now. The 8.9mm device features a debossed frame and a frosted glass rear. Just like its brother devices, Sony Xperia Z5 Compact has a fingerprint sensor embedded in its power button. It is resistant to both dust and water and is available in distinct vivid colours to match your taste. 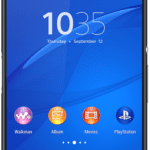 Sony Xperia Z5 Compact sports a 4.6-inch diagonal display which is based on Triluminos technology that is used on some high-end TVs from its maker. The touchscreen has an HD resolution of 1280 x 720 pixels making for impressive clarity. The camera department is one of the areas where the Sony Xperia Z5 Compact impresses the most. It crams in an amazing 23-megapixel rear-facing camera with a 24mm wide-angle G lens and Pulse LED flash. The shooter boasts Hybrid Autofocus that helps it focus incredibly fast to capture images at the perfect time. Buyers also get a wide-angle 5-megapixel selfie camera with Full-HD (video) recording capability. Just like the Xperia Z5 and Xperia Z5 Premium, the Sony Xperia Z5 Compact is equipped with an octa-core Qualcomm Snapdragon 810 processor, which is supported by the same Adreno 430 GPU. But the available RAM is lower at 2 GB. Inbuilt storage memory is 32GB, extendable by up to 200 GB via the microSD card slot. Sony Xperia Z5 Compact will run on Android 5.1 (Lollipop), which buyers may be able to upgrade to the latest Android M. Juice is provided by a 2700mAh battery with up to 2 days runtime and Quick Charge capabilities. Sony Xperia Z5 Compact is designed to pump out enjoyable sound with its Hi-Res Audio and digital noise cancelling (DNC) capability. It boasts 4G LTE support. 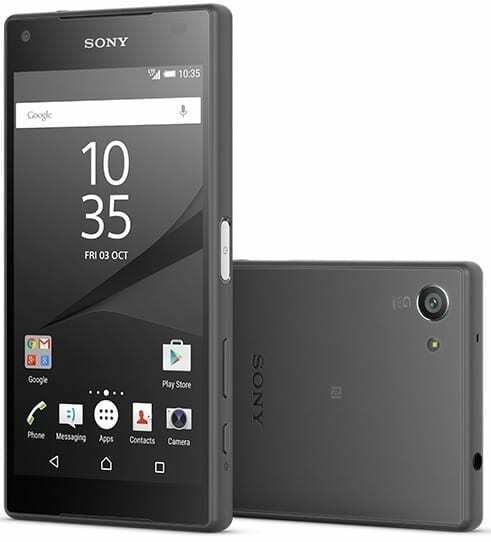 Sony Xperia Z5 Compact is available in Nigeria. You can buy the smartphone at leading online stores in the country. Sony Xperia Z5 Compact Price in Nigeria ranges from 144,000 to 250,000 Naira, depending on your location.